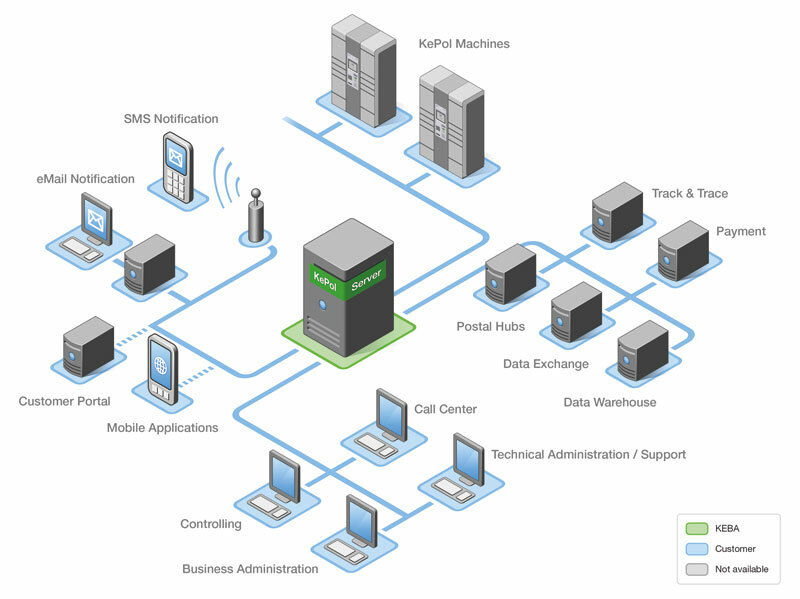 KePol is a comprehensive solution for the automation of the first and last mile of parcel delivery, consisting of hardware, software, services, installation and rollout management. It is perfectly suitable for improving customer service with asynchronous handover of goods because KePol is tailor-made to customer requirements in the self-service area. We owe this to decades of experience in the area of banking and safety technology. In this way, KePol combines the advantages of a modern self-service system with the convenient, secure and economical pick up and drop-off of parcels around the clock. Your customers can pick up their parcel 24 hours a day, 7 days a week - exactly where and when they want. Picking up and returning parcels is simple and completely safe! Customer acceptance is therefore guaranteed. You fulfill your customers' expectations of modern delivery options with KePol - your customers will thank you! KEBA offers four standardized but nevertheless tailor-made solutions which have been specially developed to fulfill the different requirements of each individual customer. Each solution consists of a combination of hardware, software and integration into the customer’s existing logistics IT structures. Try it, it's almost free! You can test almost the entire scope of services of the KePol solution with KePol@Lab without needing to start a large IT project. 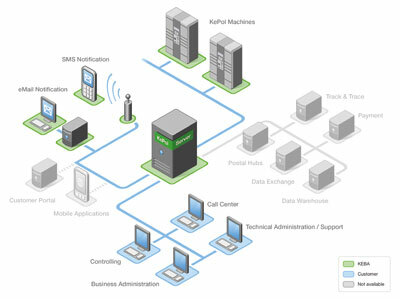 All necessary set-ups are done by KEBA - the system is ready to use within 6 weeks. Put your business to the test! KePol@Pilot is ideal if you want to carry out a trial period under realistic conditions. A maximum of 10 lockers can be operated with this. Attractive upgrade options to KePol@KEBA and KePol@Customer provide investment protection and reduce the initial risk. If you do not want to operate the KePol Software Suite in your own IT network, KEBA will take over hosting and housing of the solution as well as all necessary administrative tasks. KEBA offers KePol@KEBA with an attractive financing model with up to 100 lockers and numerous options. Unlimited possibilities at your command! KePol@Customer is the ideal solution for customers who wish to have the complete solution including IT in their own hands and therefore under their own control. There are no limits with KePol@Customer in relation to the number of lockers, flexibility and range of functions. 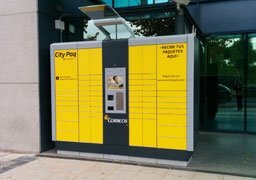 Baltic Post provides its customers with a comprehensive first and last mile service with the LPExpress24 lockers, which are installed in 44 cities across the country. 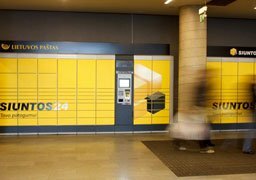 The Spanish postal organization Correos has decided to offer an expanded customer service with an initial 60 parcel lockers from KEBA with the brand name “CityPaq”. 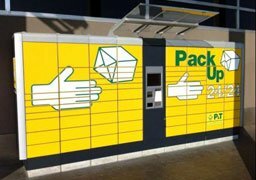 The first customers - The PACKSTATION, which was presented the World Mail Award 2004 as the most innovative international post product, has been developed in a collaboration between DHL and KEBA. 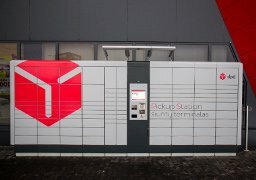 DPD Baltics is the parcel delivery market leader in the Baltic countries of Estonia, Latvia and Lithuania and runs a hybrid network of pick-up shops and new automated parcel terminals by KEBA. Econt Express Ltd. is the largest logistics company in Bulgaria. 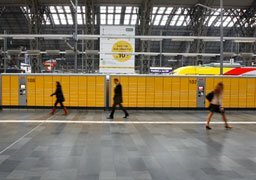 Now KePol lockers are being installed continuously in order to make it possible to pick up and return the parcels around the clock. Delivery from one parcel station to another is also possible. 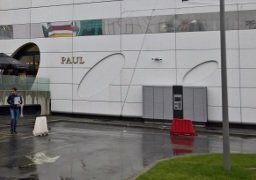 FAN Courier, the leading company in express courier services in Romania, has just opted for KEBA’s parcel lockers to provide an innovative delivery solution that allows faster and more flexible deliveries. Within the scope of cooperation between KEBA and Neopost ID (an established solution provider in the postal and logistics sector), Neopost acts as an operator which makes new usage variants of the well-tried KePol solution, such as pay-per-parcel, possible. 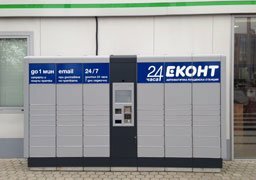 Within the scope of the new self-service concept of the postal branches, the new KePol LS has become a pick-up station for parcels. It makes it possible to pick-up recorded deliveries around the clock there. 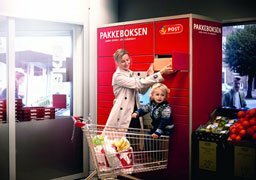 The Danish postal service has been operating the so-called “Pakkeboksen” since 2008 and is thus regarded as a pioneer in automation of the last mile in Northern Europe. KePol LS lockers were installed in the supermarkets within the framework of cooperation with the retail chain Coop. 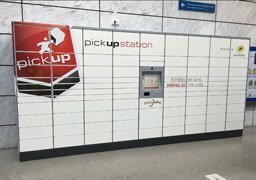 The Luxemburg postal service “Post Luxembourg” operates a network with KePol lockers in order to provide its customers with parcel drop off and pick up that is independent of the postal branches opening times. It is extremely important for Swiss Post to provide its customers with solutions and services that put the focus on convenience for the end consumer. 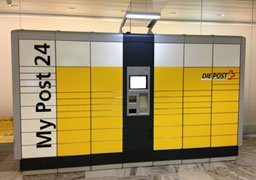 The company has therefore opted for lockers from KEBA ("MyPost 24”).